Can We Remove Water Contaminants Naturally? Your funding will help support the $150K/year required to support a graduate student and postdoc, along with supplies, equipment, and travel for fieldwork and conferences. Help Dr. Remucal and her team continue their research and develop new water treatment systems using advanced oxidation processes and green infrastructure. If funded, she can continue her work and focus on removing dangerous chemicals from the water we consume. Support the mission toward cleaner water—fund Dr. Remucal. Drinking water treatment plants remove large particles like dirt, while killing pathogens that can make us sick. Although these processes make the water safer to drink, they are not designed to remove many organic pollutants that are present in low concentrations and can lead to negative health effects when consumed. Dr. Christina Remucal, Assistant Professor of Civil and Environmental Engineering at University of Wisconsin-Madison, is using fundamental chemistry to study contaminant transformation, photochemistry, and reactive oxidant production in both engineered (drinking water treatment) and natural (lakes/rivers) systems. As she researches the fate of chemicals in the aquatic environment, she aims to develop new ways to remove chemicals from drinking water through natural processes. Common water contaminants include pesticides added to fields or urban environments, and pharmaceuticals and personal care products that pass through us to wastewater treatment plants, ending up in the environment. With her team of chemists and engineers, as well as collaborations with colleagues, Dr. Remucal’s research includes extensive study about what happens when these chemicals end up in our water. In a natural environment, such as a lake or river, they explore how fast degradation happens through reaction with sunlight, and whether or not the contaminants turn into less toxic compounds when they degrade. Concerning drinking water, she and her team are investigating new ways to degrade chemicals that are not removed well by conventional drinking water treatment processes. These chemicals include endocrine-disrupting compounds, which can turn male fish into female fish, and are bioactive at the same levels found in the environment. Some of these novel water treatment processes can also be used in developing countries to disinfect water at the household level, potentially providing safer water to millions of people that do not have access to it. The formation of disinfection by products during chlorine photolysis - Dr. Remucal and her team are studying a new water treatment application that takes advantage of the existing drinking water infrastructure to remove contaminants and chlorine-resistant pathogens by shining light on chlorine disinfection units. With her research into this advanced drinking water treatment system, Dr. Remucal is not only investigating the fundamental chemistry processes involved in contaminant removal, but exploring how the formation of disinfection by-products changes. These potentially cancer-causing products are formed when chlorine, the most common water disinfectant in the U.S., is used to kill pathogens in water. Understanding the formation of disinfection by-products is critical to the safety of the new drinking water treatment process. In addition, this new water system can also be used as a point-of-use treatment application in developing countries, where millions of people lack access to safe drinking water. One way an individual may treat their water is through solar disinfection, which involves putting water in plastic bottles and placing it in the sun. Dr. Remucal’s research could speed up this sunlight-based water treatment process, making it more reliable for people that depend on it to keep their water safe to drink. Photodegradation of pesticides and pharmaceuticals in lakes and rivers – Pesticides applied to fields or urban environments can be transported to lakes and rivers, while wastewater effluents and animal operations are sources of pharmaceuticals. Many of these chemicals are bioactive at low concentrations and their presence in aquatic systems is a concern for both humans and the ecosystem. Dr. Remucal is studying what happens when these chemicals come in contact with sunlight, how quickly they degrade, and which products they form. Manganese oxides for contaminant removal - Found in the soil, these naturally occurring minerals can be used to degrade certain pollutants. Because they are naturally highly active, Dr. Remucal posed the question, “Can we use these minerals to remove contaminants from stormwater?” When it rains, the rainwater picks up everything in its path, such as pesticides from lawns and chemicals on cars, and often flows straight into a lake or river. Dr. Remucal and her team are investigating ways to direct stormwater through green infrastructure, such as a manganese oxide-based reactive infiltration systems, reducing contaminant loads before the runoff hits surface water. Dr. Christina Remucal’s interest in water evolved while growing up in a ski town in the desert of northern New Mexico. Her hometown heavily relies on the efficient use of scarce water resources, giving Dr. Remucal a huge appreciation for the importance of water. With her love of science and math, Dr. Remucal decided to attend Massachusetts Institute of Technology (MIT) as an undergraduate. It was there that she first discovered the field of environmental engineering. She was drawn to the field because it combines chemistry, biology, math, and physics to solve important problems, such as purifying drinking water. She also liked that it allowed her to go outside, for activities like field sampling. Dr. Remucal completed her postdoctoral research at the Institute of Biogeochemistry and Pollutant Dynamics at Swiss Federal Institute of Technology from 2009 to 2012. 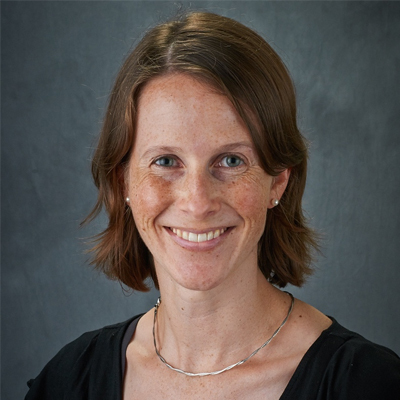 She currently serves as Assistant Professor in the Department of Civil and Environmental Engineering, and is also affiliated with the Environmental Chemistry and Technology Program, the Freshwater and Marine Science Program, and the Molecular and Environmental Toxicology Center. Dr. Remucal misses the excellent skiing in the southern Rockies but appreciates the beauty of the lakes in the upper Midwest. Living in a water-rich area like Wisconsin, she sees that there are many stressors on the health of our aquatic environment and is motivated to improve the quality of our water resources. Glass half full: Improving the world’s water. Emerging investigator series: Christy Remucal.” Environmental Science: Water Research & Technology Blog. 6 June 2016. A critical review of the reactivity of manganese oxides with organic contaminants. The role of indirect photochemical degradation in the environmental fate of pesticides: A review. Relationships between dissolved organic matter composition and photochemistry in lakes of diverse trophic status. Indirect photodegradation of the lampricides TFM and niclosamide. The effect of advanced secondary municipal wastewater treatment on the molecular composition of dissolved organic matter. Lampricide photodegradation in Great Lakes tributaries: A field analysis. Mineralogical transformation of MnO2 during the oxidation of bisphenol A.
Photochemical reactivity and molecular composition of size-fractionated dissolved organic matter. Direct photolysis rates and transformation pathyways of the lampricides TFM and niclosamide in simulated sunlight. The efficacy of chlorine photolysis as an advanced oxidation process for drinking water treatment.